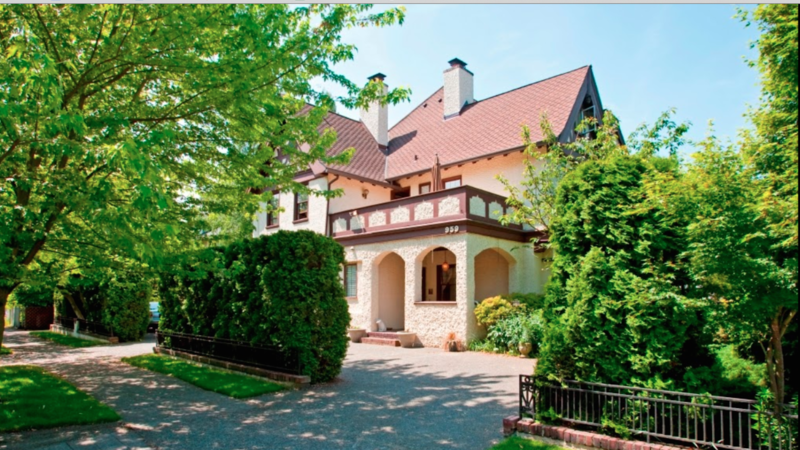 Rent The Bacon Mansion | Corporate Events | Wedding Locations, Event Spaces and Party Venues. Whether you are looking for a Seattle wedding and reception site, a business meeting location, or catering, the Bacon Mansion would like to help make your special event a success! Below, you will find some of the things we have available for you. Outdoor Patio with Italianate Fountain. Enjoy one of the outdoor patios at the Bacon Mansion. Hear the trickling water, smell the blooming flowers, relax with friends. The Day Rooms at the Bacon Mansion are spacious and comfortable places to relax or gather with friends. Day Rooms include: the Living Room, a Library with tiled fireplace and the Formal Dining Room, where breakfast is served. The Day Rooms and Courtyard at the Bacon Mansion can also play host to your small business meeting (maximum 18 and please call for details), small wedding or reception. Preparation, service and clean up, freshly ground coffee, tea, cream and sugar, non-alcoholic punch, linens, napkins and ivory candles in dining room, china plates and cups, silver forks and spoons, champagne glasses & wine glasses, silver candelabras and serving pieces, bartender and servers.